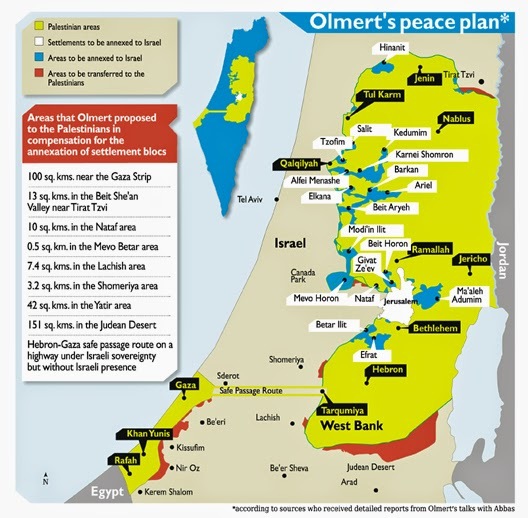 For Once – Let’s have a peace plan with OUR name on it. All Israelis want peace, from the hard left to the far right. The main concern is who we make that peace with and what price we are prepared to pay in land and security. Another hard fact is that Hamas and Fatah, under the control of Teheran and the Muslim Brotherhood, will not sign up to any agreement that leaves a viable Jewish state in place that cannot soon be overrun by military or demographic means. Israel has co-operated with each and every peace plan but, despite all the confidence-building measures, settlement freezes, clearance of checkpoints and ill-advised prisoner releases, the Arab leadership has taken them all for nothing in return. The list of peace plans is long: Rogers, Oslo-1, Oslo-2, Taba, Wye, Tenet, Mitchell, Zinni, Annapolis and of course the Saudi initiative. Not an Israeli name among them. Perhaps it’s time to say what WE want. What suits US in OUR land and for the generations to come. By this I don’t mean an Olmert plan which was yet another response to someone else’s initiative. It needs to be an Israeli initiative from the very start and until it is, inevitably, rejected along with all the rest. As he becomes Israel’s longest-serving prime minister, let it not be said that there was no ‘Netanyahu Plan’. Whatever that plan may be, it will show that we are being proactive and no longer the passive partner to every ill-conceived initiative cobbled together by foreign leaders looking for a Mid-East legacy to eclipse their other failures. Did they vote FOR Bibi .. or AGAINST Obama ? I have to admit I was very pessimistic throughout this election day. 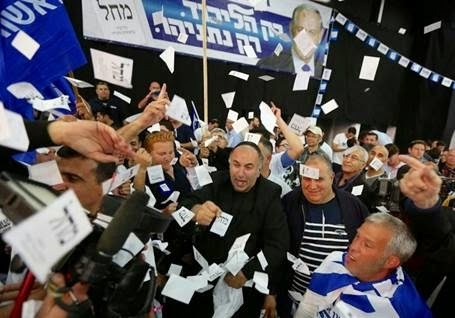 With all the knives out for Netanyahu and foreign money busing thousands of Arab students into polling stations, it was like a Yom Kippur War on all fronts, with ballots instead of bullets. Well, that's democracy - you may well say. But not when foreign governments and viscerally anti-Jewish fatcats and NGOs are blatantly undermining that democracy with public or tax-exempt funds. I'm glad that the Republican senate has launched its inquiry to track this money back to its shadowy sources with subpoena powers. Let these folks be exposed for what they are: vile anti-Semites who cannot stand to see Israel thriving as a bold, secure and independent Jewish state. There's no doubt in my mind that many Israelis changed their vote as a protest against this egregious foreign interference in their most prized process as the region's only true democracy. 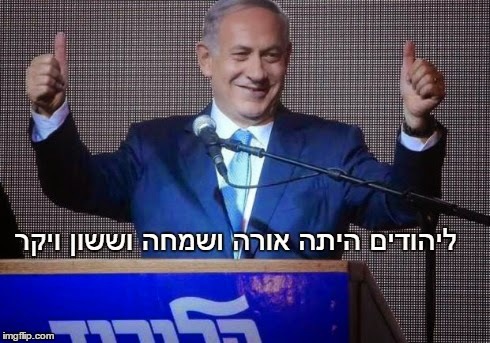 Whatever the coalition endgame and whatever issues you may have with Bibi Netanyahu ... and I have a few of my own ... there can be no doubt that this man is a real fighter. And in the world's most dangerous neighborhood boldness and steely resolve is more important than ever.